Want the best way to add a clean sparkle to your car? Look no further. 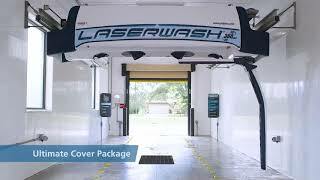 LaserWash is an in-bay touch-free vehicle cleaning system from Vehicle Wash Systems PDQ (a US Dover company) and it’s only available at IPT. Easy to operate, LaserWash offers you a fast, practical, safe, and affordable professional carwash with great results each and every time. Introduced to Lebanon for the first time by IPT, the automatic touch-free LaserWash is available at most IPT stations 24/7. This effective cleaning solution does not harm vehicles in any way. Even its design is outstanding since it eliminates the need for floor steel, well mounted sensors, T-bars, and other bay obstructions. Instead it uses bright and legible in-bay signs, auto reset, and front bug prep. Refer to the online Station Locator to check the nearest IPT Stations with the Laserwash service.